Scientists hope toexperiment with something that can produce temperatures of around 3,500 Celsius, as this may help to develop carbon-neutral fuel. 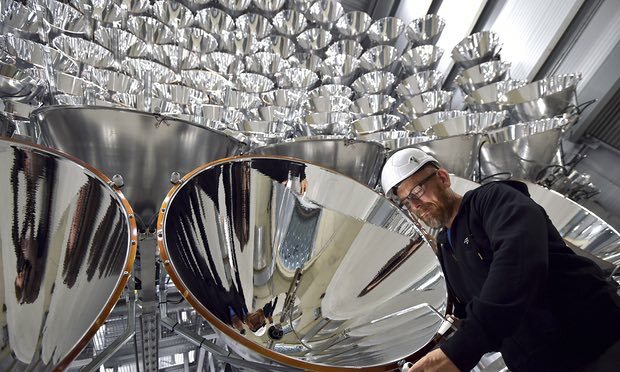 While the German scientists are switching onto the "world’s largest artificial sun” , this is in hopes that light sources can be used to generate climate-friendly fuel. However the Synlight experiment in Julich, about 19 miles west of Cologne, which consists 149 soaped-up film projector spotlights that produce light about 10,000 times the intensity of natural sunlight on Earth. 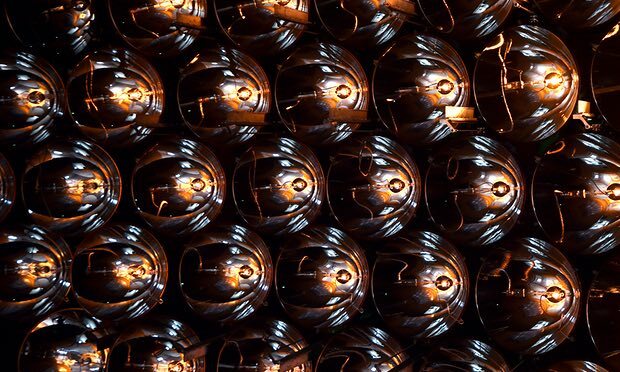 When all the lamps are swiveled to focus on the light for a single spot so that the instrument can generate temperatures of around 3,500 Celsius – around two to three times the temperature of a blast from afurnace. The aim of this experiment is to come up with the best setup for concentrating natural sunlight to power reaction in order to produce hydrogen fuel. Do you know that the solar power stations which use mirrors to focus sunlight onto water are already well established. These work by harnessing heat from the sun to produce steam that turns turbines and generates electricity. However, the Synlight experiment is still in investigating process to check whether there would be any possibility that a similar setup could be used to get the power froma reaction and to extract hydrogen from water vapor, which could then be used as a fuel source for Aeroplanes and cars. This experiment currently uses a vast amount of energy which is four hours of operation that consumes as much electricity thata four-person household uses in a year. However, scientists hope that in the future the natural sunlight could be used to create hydrogen in a carbon-neutral way. Scientists would need billions of tons of hydrogen; to drive airplanes and cars on CO2-free fuel. 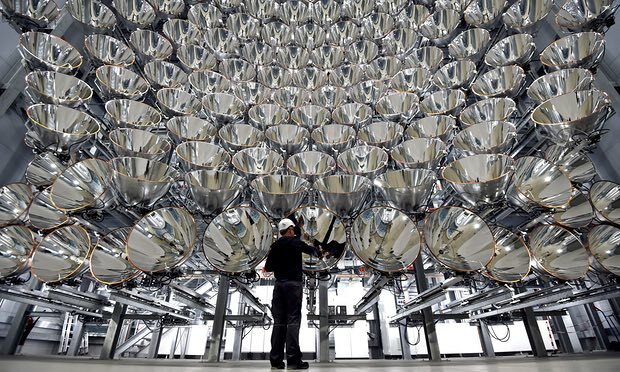 Operating the artificial Sun is not that cheap as it consumes more than what is expected. However, as per the chief scientist, Hoffschmidt, views that the Synlight’s reliability will allow the researchers to master hydrogen-making techniques that can be mimicked and scaled up using our sun. Experts consider that with support from scientists worldwide, we could live in a hydrogen-fueled world within less time. In the coming future, the German researchers also hope to use Synlight to test the durability of spacecraft material and equipment when subjected to intense solar radiation. This research will help astronomers tremendously in their quest to explore worlds far beyond ours.